The lawsuit, originally filed in the Southern District of New York, was transferred in 2010 to federal court in the District of Arizona. It alleged that Swift, before its 2017 merger with Knight Transportation, had violated the Fair Labor Standards Act. The settlement agreement, filed with the federal court on March 12, must still be approved by the federal judge overseeing the case. The lawsuit was filed against Phoenix-based Swift, Interstate Equipment Leasing, Swift founder and CEO until his retirement in 2017 Jerry Moyes, and Chad Killebrew, a Swift executive vice president. The drivers also alleged violations of state wage and contract laws as well as violations of federal forced labor statutes, according to the settlement. The trucking company has denied the allegations and contends that the owner-operators were properly classified as independent contractors under state and federal law. The settlement resolves resolution claims in the lawsuit arising during the period Dec. 23, 1999, through Sept. 8, 2017, the date of the merger between Swift’s parent entity and Knight Transportation. The owner-operators alleged in the lawsuit that Swift controlled their work and by law employed them to transport goods by truck for the carrier’s customers. But after the more than nine-year court fight, the owner-operators and Knight-Swift management agreed it was time to settle, according to the settlement. Knight-Swift said it reserved the settlement amount on the company’s balance sheet as of Dec. 31, 2018, and that it does not expect that the settlement will have a material impact on its future results of operations. The attorneys for the drivers did not return a message seeking comment on the settlement. The terms of the settlement allow for the drivers’ attorneys to seek up to one-third of the gross settlement fund as attorney’s fees, as well as costs, expenses and costs of administration. However, they said they plan to take 29% of the total $100 million plus costs limited to no more than $750,000. 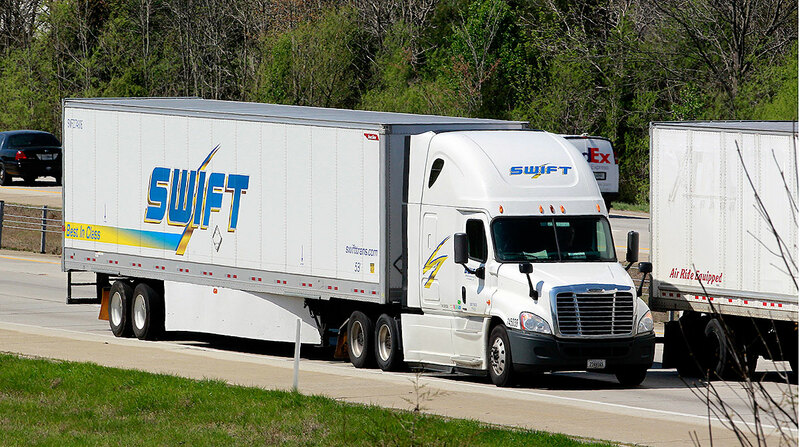 The drivers’ attorneys said they believe the five original named plaintiffs were entitled to a larger share to take on Swift, “a formidable opponent,” and their names would be publicly circulated throughout the industry.